Children’s books such as Curious George and Goodnight Moon are often beloved by children, sparking their imaginations and providing warmth and comfort. But books like these can also inspire adults— helping us to imagine ourselves in a new way and think about society from a new perspective. 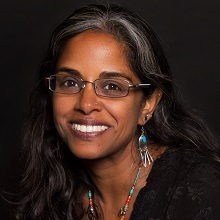 Humanities Washington Speaker, Dr. Anu Taranath, will discuss the messages children take from books written for them in her presentation, Not Just for Kids: How Children’s Books Inspire Bold Adult Conversations, on Saturday, November 10, 10:30 a.m., Third Place Commons theater. The presentation is free and open to the public. In this talk, Dr. Taranath will showcase children’s books from around the world as well as diverse communities in the United States, inviting audiences to take a closer look at kids’ books, and suggesting ways we adults might also learn some new lessons about how to navigate our complicated world. Within these seemingly simple stories are important messages about how we think about our differences, and importantly, how we might rethink our similarities. The talk is sponsored by the Humanities Washington and the American Association of University Women (AAUW), Seattle and SnoKing Branches. There will be opportunity for discussion after the presentation. For more information, contact AAUW at secretary@aauw-seattle.org. Humanities Washington sparks conversation and critical thinking using story as a catalyst, nurturing thoughtful and engaged communities across our state. For more about Humanities Washington, visit www.humanities.org.